Dr. Elena B. Mier-Trotter is a distinguished Board Certified ophthalmologist who has been practicing in the Washington, DC area for over 15 years. She graduated from Universidad Nacional Autonoma in Mexico and practiced Ophthalmology in Mexico before her immigration to the USA. She subsequently completed an Ophthalmology residency at the George Washington University Medical Center, Cornea Fellowships at New York Eye and Ear Infirmary and Cornea Fellowship at the University of Florida in Gainesville, as well as Uveitis/Ocular Immunology Fellowship at the National Eye Institute/NIH. Dr. Mier-Trotter is fluent in Spanish. She is a member of the American Academy of Ophthalmology. Her clinical interests involve dry eye syndrome, ocular surface disease, glaucoma, cataract, diabetic eye disease, allergic and inflammatory ocular conditions. Dr. Kump graduated with Honors from the North Ossetian State Medical Academy in Russia and completed her residency in Moscow at a prestigious Fyodorov Eye Microsurgery Institute. She is fluent in Russian. After her immigration to the US she did her residency in Ophthalmology at the University of Kansas and University of Nebraska, Medical Retina/Uveitis Fellowship at the National Eye Institute at NIH, Ocular Immunology/Uveitis Fellowship at Harvard Medical school. 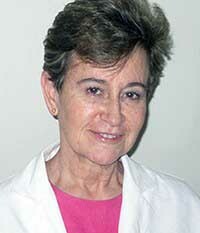 She is an author of multiple scientific articles and has contributed to four books on Retina and Uveitis. Dr. Kump is a member of the American Academy of Ophthalmology, Foster Ocular Immunology Society and American Uveitis Society. Her clinical interests also include medical aesthetics and oculoplastic surgery. She is a skilled injector of dermal fillers (Juvederm, Restylane, Sculptra, Radiesse, etc) and neurotoxins, such as Botox and Xeomin. Dr. Kump performs cosmetic and functional blepharoplasty of aging and droopy eyelids. Dr. Michael Brusco, M.D., F.A.C.S. 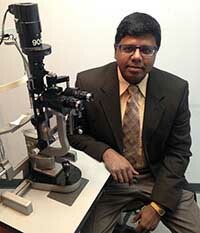 is a highly experienced, board-certified cataract and refractive eye surgeon, and vision correction specialist. He has performed over 10,000 eye surgeries including cataract, LASIK, PRK, ICL, RLE, and premium IOL. Dr. Brusco graduated with honors from Harvard College in the top quartile of his class, obtained his medical degree from Northwestern University, where he earned multiple honors in his clinical rotations, and then completed his ophthalmology training at Kansas University. There, he performed more eye surgeries than over 95% of his colleagues nationally and scored above the 95th percentile of all eye surgeons nationwide on his ophthalmology board certification exams. It is also where he was involved in an extensive refractive surgery research study. After graduation, Dr. Brusco spent six months learning about more sophisticated and complex surgical techniques from many of the most innovative eye surgeons across the country to further enhance his skills and knowledge. Before moving to the DMV area, Dr. Brusco spent two years as a civilian staff ophthalmologist at Fort Riley, one of the busiest army installations in the US, where he was entrusted to perform eye surgery on engineers, fellow surgeons, JAG's, special forces members, platoon leaders, and pilots. Dr. Brusco was awarded the STAAR top 150 surgeon in both 2013 and 2014, and is a member of the American Academy of Ophthalmology and American Society of Cataract and Refractive Surgeons. 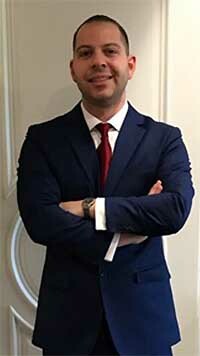 Dr. Selvin Gnanakkan received his Bachelor of Science degree from the University of Maryland, Doctor of Optometry degree from the Pennsylvania College of Optometry and Master of Business Administration in Heath Care Administration and Finance degree from LaSalle University in Philadelphia. He has expertise on management and co-management of serious ocular conditions, and specialty rigid gas permeable contact lens fitting. Argos Vision Center. Ophthalmology Website Design. Accessibility Policy.